Submitted by NKC (not verified) on Thu, 05/07/2009 - 2:05pm. Submitted by Mr. C Da Boss (not verified) on Thu, 05/07/2009 - 3:15pm. Submitted by mfizzel on Thu, 05/07/2009 - 3:47pm. Submitted by bigbmob (not verified) on Thu, 05/07/2009 - 8:08pm. Yung Redd the truth mane, nice drop. Submitted by ADP on Thu, 05/07/2009 - 10:53pm. Submitted by AloWishus128 (not verified) on Fri, 05/08/2009 - 3:57am. Submitted by ganjasmurrf (not verified) on Tue, 05/12/2009 - 9:16pm. MFIZZEL WE NEED F ACTION 55 MAYNE ASAP!!! Submitted by DJ Smoke-A-Lot on Fri, 05/08/2009 - 12:04pm. 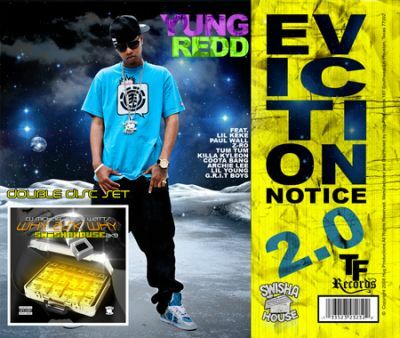 THIZ IZ THA BEST MIXTAPE OUT RIGHT NOW,YUNG REDD GOT THAT LYRICAL TALENT HE A MIXTAPE MURDERER!!! Submitted by velaxx on Thu, 05/21/2009 - 6:50pm. anyone can tell me? from who dat song ''act a azz''? Submitted by ReazN on Sat, 01/02/2010 - 3:36am.